DFU is short for Device Firmware Update, and DFU mode is often used for recovering iPhone files or jailbreaking an iPhone. DFU mode is different from the Recovery mode of iPhone, the latter means your iPhone has been restored to the factory settings with the latest version of iOS by iTunes. But in DFU mode, you are able to choose the firmware to download. 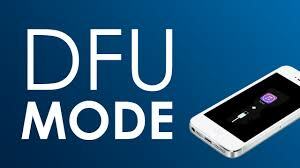 And the post will help you know how to enter DFU mode and how to recover deleted files from iPhone under DFU mode. Following the guidance below to know how to finish the task. 1. Plug your device into your computer with a USB cable. 4. Hold the Home and Power buttons for 10 seconds. 6. 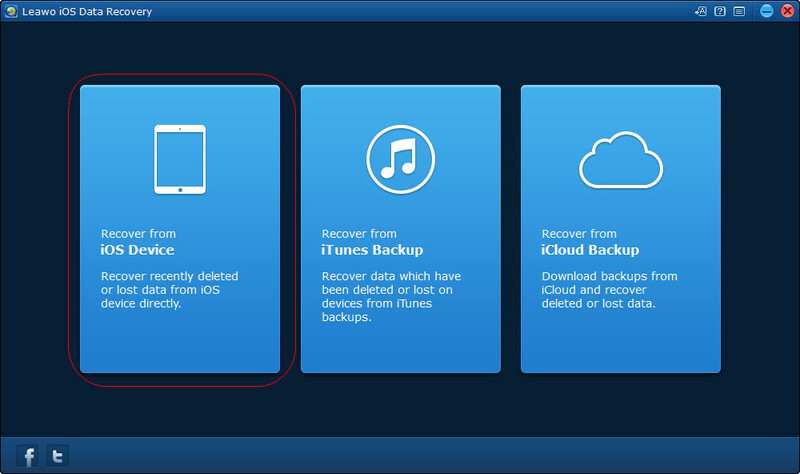 After about 15 seconds you will be alerted by iTunes saying that it has detected a device in Recovery Mode. It’s hard to estimate the exact 10 seconds and enter DFU mode manually on your iPhone. At this moment, you will need the help of iPhone data recovery software. Leawo iOS Data Recovery provides great help on this issue, and it allows users to extract files from iPhone under DFU mode, which won’t cause any data loss in your device. 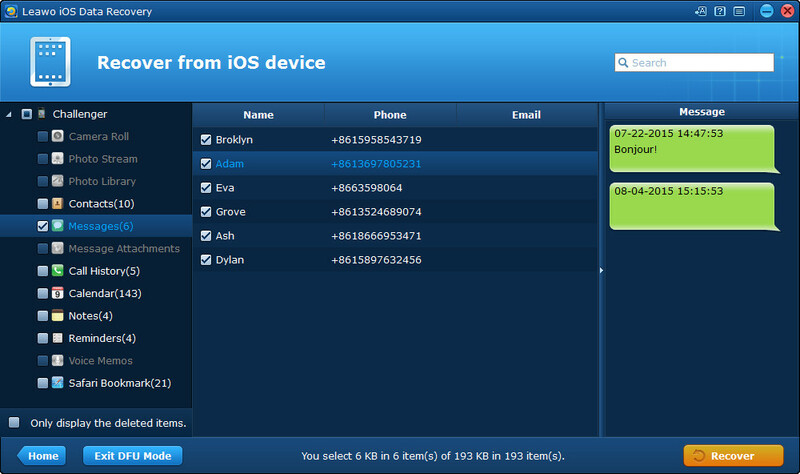 Leawo iOS Data Recovery now enables users to extract files from iPhone 4 and iPod touch 4 under DFU mode. 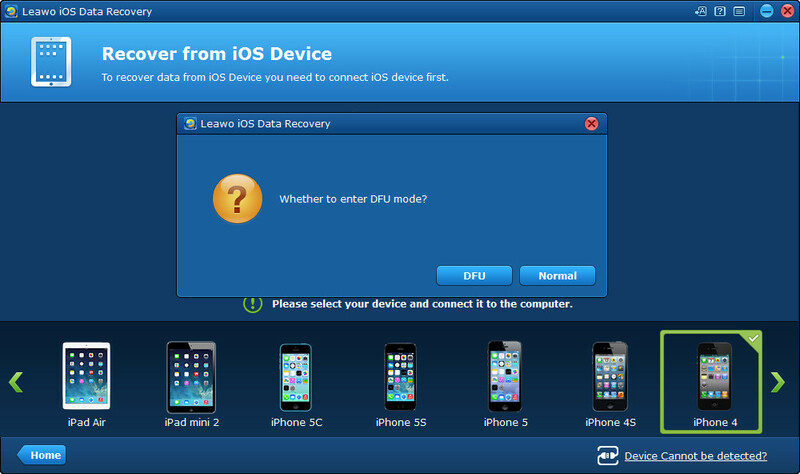 The following guidance will show you how to recover deleted files from iPhone 4 under DFU mode. You can free download the software to have a try. Step 2. Connect iPhone 4 to computer with USB and choose DFU in the pop-up dialog. Step 3. 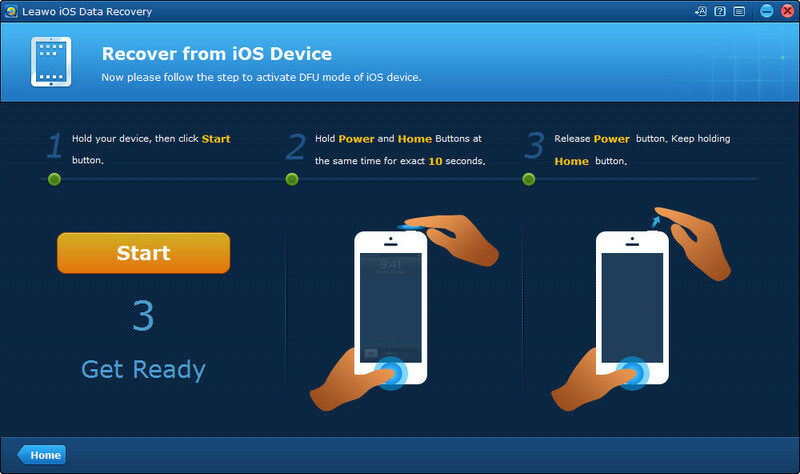 Follow the tutorial and enter DFU mode on your iPhone 4. Step 4. The program will communicate and scan your iPhone 4. When the scan is done, select the files you need and click Recover. Step 5. Click Open in the pop-up dialog to choose a target folder on your computer to save the files. 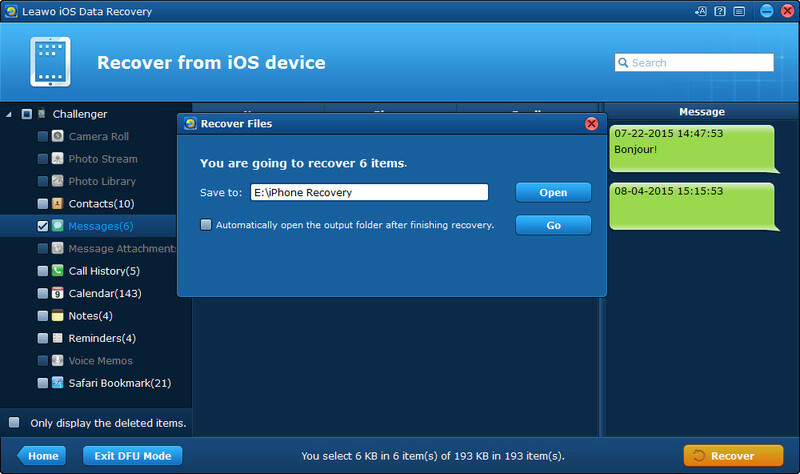 Then click Go to recover deleted files from iPhone 4 under DFU mode. When the recovering process is done, you will get the files in the target folder. If you want to exit DFU mode on your iPhone 4, you only need to click Exit DFU Mode at the left bottom of Leawo iOS Data Recovery. Leawo iOS Data Recovery is helpful and useful software for iPhone, iPad and iPod touch users, and this software helps to recover deleted files for all kinds of iOS devices, for example, you can recover deleted notes from iPad Pro with this software. It will bring much convenience to your daily life, if you are interested in it, just check it out.